For most of us, our Mom has always been our first best friend. Mom was our staunchest kakampi, be it against our older siblings, the bullies in school, or the first person who broke our heart. 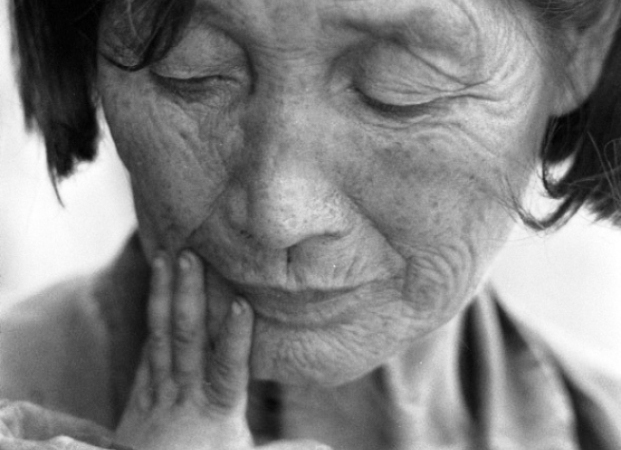 She was always the one who wiped our tear-stained faces, and nursed our scalded knees. She was the one who made us sleep better on flu-ridden nights, with just one touch. She was the only one who can instantly make us feel better, no matter how awful we’re feeling, whether it meant getting the G-Shock watch we’ve been eyeing, buying a large tub of our favorite ice cream, or enveloping us in a warm embrace. 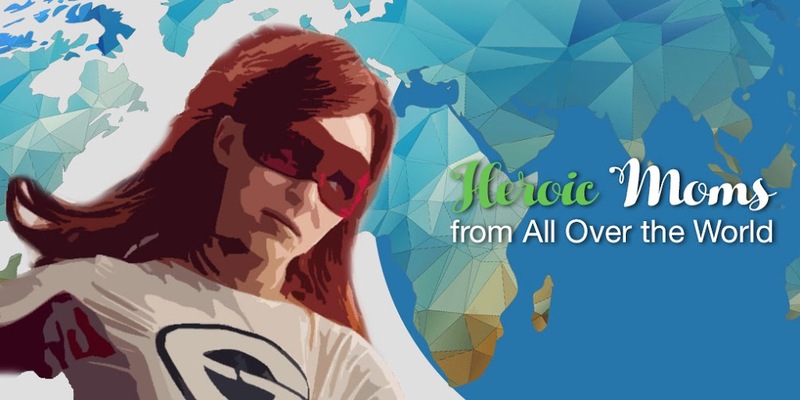 PawnHero celebrates Mother’s Day by compiling awe-inspiring tales of mothers and the heartwarming way they expressed their unconditional love for their kids. Female genital mutilation (FGM) was once celebrated in the rural village in Burkina Faso, Africa, where Asseta grew up. At a young age of seven, she was forced to undergo FGM in a public ceremony. Since she and about 10-15 of her friends were cut at the same time, she never thought of it as extraordinary. In fact, she was not alone in this thinking. 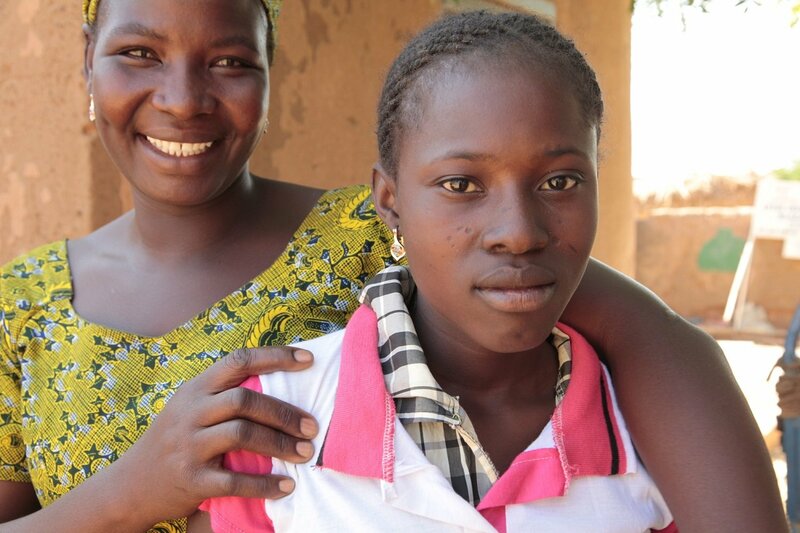 In Burkina Faso, 75% of women experience FGM. It is a deeply embedded social norm in her community, as in many other African communities, that it was deemed unnecessary to question the practice despite the physical and psychological damage it brings. It was in fact, seen an essential part in preparing a woman for marriage and motherhood. After learning about the consequences of FGM, Asseta became determined to spare her child from the tradition. Awa, Asseta’s young daughter, has witnessed a friend being cut, and it made her scared. To protect her child, Asseta decided to defy tradition. Asseta worked to end FGM for many other girls by speaking in the local community, convincing other parents against cutting their daughters. Through her perseverance, people in her community became more open about discussing FGM, and this eventually led them to abandon the practice. On September 26, 2009, tropical storm Ondoy ravaged the Philippine archipelago with a persistent, heavy downfall that lasted for 12 hours. A month’s worth of rain happened in less than a day, causing major flood in 25 percent of Metro Manila and more than 24 provinces. The flood was unforgiving—homes of both the rich and the poor were destroyed, the elderly were rendered helpless, and the children were separated from their parents. “The water started to rise so fast,” recounts Lea Mariano, mother of five. Before she knew it, the water has risen so high, it became almost impossible for rescuers to get to their home. Lea decided she would not sit around, waiting for rescue. She would not put her baby at risk of being swept away by the raging flood. Unperturbed by the heavy rains, she walked along a thin cement wall, clutching her infant child. She recalled trying to find something to hold on to, to keep them from being thrown overboard. She braved the storm, literally, just so her baby would live. 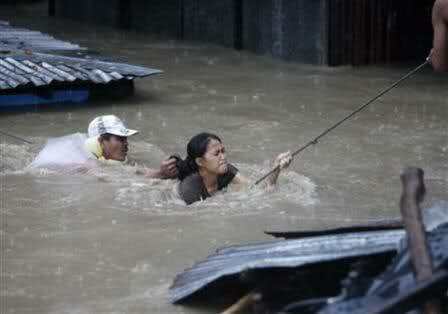 Photo of a lady struggling against neck-deep water to get to safety during the typhoon. “Mama Josephine,” as he is now fondly called, was born Joselito. Even as a child, he already knew he had the heart of a woman. “I was born in the wrong body,” he jokes. Mama Josephine ran a small partner in Manila. His natural cheerfulness and candor made his parlor a hit among the neighborhood women. When one day, a pregnant woman came inside his salon, he thought she was just there for a haircut. Imagine his surprise when she asked Mama Josephine to keep the baby in her tummy, in exchange for payment for the lying-I clinic, when it’s time for her to give birth. According to the woman, she already has six children, and could not any more afford to care for another. Mama Josephine didn’t come to a decision that day, but when the woman returned after a few days, he finally agreed. According to him, a baby is a blessing. When people learned about Mama Josephine’s decision to adopt, people started taking behind his back. He was aware how some people disagreed. But she never heeded any of their opinion. He was determined to do everything he can to be able to give the baby a better life. Mama Josephine’s child is now six years old. Though they faced many challenges at the beginning, Mama Josephine says he’s happy about his decision. His child inspired him to do work hard to achieve a better life. Her rescue effort began in 1972, when she found a baby lying amongst the junk on the street. She brought the baby home and together with her husband, she raised the baby as if her own. 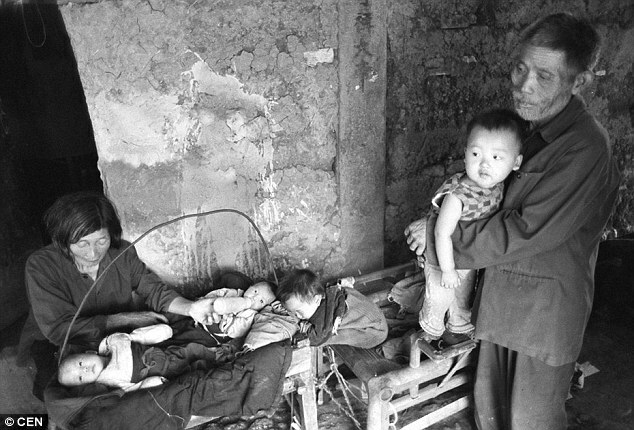 With China’s one-child policy, however, women took to abortion and abandonment to avoid facing severe penalties. This led Lou to find more babies on the street, bringing them home each time. Lou continued to care for her children, even after her husband died almost two decades ago. Of the thirty babies she found in the trash heap, they kept four babies and found new families for the rest of the kids. Her eldest child shares that despite her old age, Lou still works very diligently, to be able to provide the children with their needs. Today, Lou suffers from kidney failure, and while she may never get to see her youngest child, seven-year-old Zhang Qilin, grow well into adulthood, she wishes nothing but the best for the young boy. All her older children helps with looking after young Zhang Qilin, and they all see him as very special. Teacher Sonya Romero of Lew Wallace Elementary jumpstarts her day by making sure her kindergarten students are okay and well. She makes sure they have everything they need by asking them whether they’ve eaten or if they need any clothes. She also makes sure they have brushed their teeth or combed their hair. One day, Child Protective Services turned up at the school for two of Sonya’s former students, looking for an emergency place where they can stay for the weekend. Without hesitation, Sonya volunteered to take them in. When none weekend stretched into the indefinite future, Sonya signed on to be their official foster mom, six months later. There are so may things our Mom never told us. She wanted that piece of cake, too, but she’d rather that you have it. She wore the same dress during special occasions, so that you could buy a new one. She adored that necklace, but she had to pawn it to complete your tuition fee money. This Mother’s Day, thank your Mom for all the love and sacrifice she has given you since Day One. Get her something she would remember for the rest of her life. Visit the PawnHero Marketplace today for authentic, preloved items, such as G Shock Watches, Louis Vuitton bags, CLN eyewear, and more. If you need extra cash to complete your Mother’s Day plans, try pawning via the PawnHero App today! Writes part time, spreads sunshine full time. Loves dogs, elephants, coffee, and the old book smell.